This was meant to be posted over a month ago, so apologies for the lateness. I actually wound up seeing several movies that had to go on this list after I’d already started it. 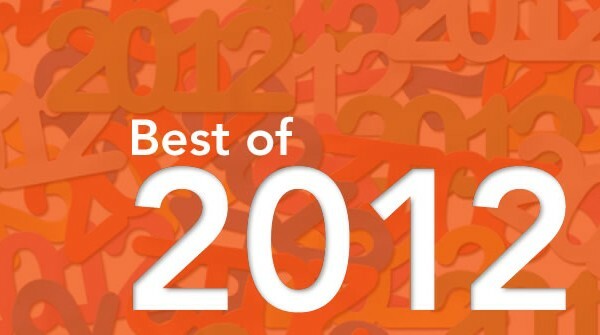 So this is a little overstuffed…but so was 2012. It’s taken me a while to gather this list, mainly because I have only just now caught up on enough of the contenders that I feel there are few that are left out. Up front, I’ll admit that one highly lauded film eluded my viewing (Amour). I will get around to finishing this, and if I feel it warrants a place, I will just update this and let it duke it out with one of my original 11. 🙂 As with Ben’s List, this is for mainstream films, and funny enough, we actually agree on some of these. And I admit it, I cheated a bit. There are technically 13, but I felt there were two pairs of movies that deserved to be on the list for some of the same reasons. And why 11 instead of 10? Cause 2012 was a GREAT year for movies. 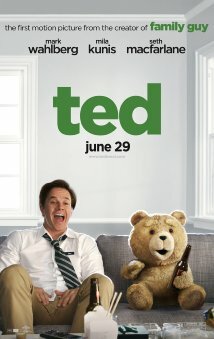 Oddly enough, the first time I saw Ted, my response was that it was as funny as I’d heard it was, but that I was really impressed with it technically. When I revisited it again, I kept getting reminded of scenes that I thought were really funny. By the time I dove into the extensive Blu Ray extras to see the extremes that MacFarlane and Co went to to bring this movie to life, I realized I was a real fan. This movie has heart, gross out humor, and uses CGI in a seamless and necessary manner. Sure, Ted may not be Golum, but he also has to carry an entire movie, and almost never does it feel like there’s not a big plush teddy bear right there. 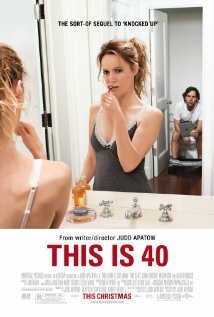 This is 40 provides laughs in a different way, by returning to some heartfelt themes and concerns I don’t think Apatow has visited since The 40 Year Old Virgin. Apatow is best when he’s channeling his inner James L Brooks. This is his most personal movie to date, and you feel it. I especially appreciate a film that divides audiences, almost solely on their age and life experiences. Chronicle is what the storyline of young Anakin Skywalker should have looked like. I can tolerate exactly two found footage movies: Cloverfield and Chronicle. 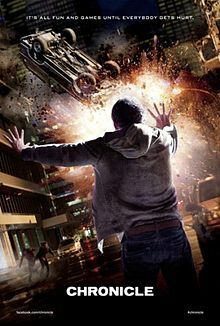 What Chronicle has over Cloverfield is a nifty trick which allows its characters to realistically manipulate the normally shaky camera that serves as the narrator for these types of films. This gives us a chance to get to know our videographer as he comes in front of the camera quite a bit. This choice, as well as some superb casting, makes Chronicle one of the best super hero films of the year and shows there may yet be new things we can do with found footage. I’m a David O’Russell fan, and have been since the superb Three Kings. I was looking forward to this film, but not excessively so. However, I was pleasantly surprised at how much I enjoyed it. It’s a film filled with strong performances from all of the main players. Both Cooper and DeNiro play against type, and do so admirably. DeNiro especially is miles away from the “Meet The Parents” persona he’s relied on over the last decade or so. Lawrence shines at several moments in the film, and does a fine job of keeping this from being a by the numbers romantic comedy. I like that both leads are volatile and there’s an undercurrent of danger to both characters that keeps the viewer on its toes. While the ending is a little too Rom Commy for my tastes, I will let it slide since the rest of the film goes a long way to distance itself from the usual date movie fare. These two films made my summer by showcasing the best two sides of the superhero coin. 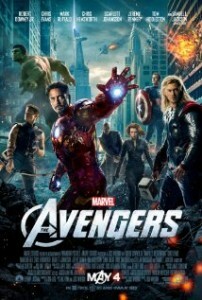 The Avengers is the bright, fun, Saturday morning cartoon version of comic books. Everyone is in theatrical costume, and the entire film feels like a fun amusement park ride. The Dark Knight Rises keeps us grounded in Nolan’s noirish, gritty Gotham. While the film takes a lot of leaps of logic, there are some great performances to offset the writing. Both of these films do one thing exceedingly well, which is cast actors that inhabit roles that may stray from what was in the funny books, but feel true to the world they are in. Whether it’s the fine banter between the dysfunctional super hero family in The Avengers, or the catwoman and mouse dialogue between Bruce Wayne and Selina Kyle, the performances all bring the characters to life, and give the audience people we enjoy watching. Bonus points for the Brit villains as well. Hardy and Hiddleston bring a lot to these movies in roles that could easily have gotten lost in the fray. Easily the most fun I had in a theater in all of 2012. 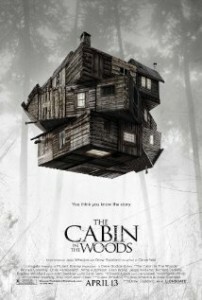 In addition to sparking the conversation that lead to Last Pint’s current screenplay project, Cabin in the Woods made genre mashing an art form. I’m not the biggest horror fan, but even the novice horror non expert can spot all of the easter eggs that fill this deconstruction of the horror genre. Bradley Whitford and Richard Jenkins steal the movie from the young cast, with line readings that could easily have had the audience rolling its eyes. Whitford even gets a moment of introspection in a line that deftly maneuvers from deep and heartfelt to hysterical and crass in 10 seconds. And Fran Kanz gets the meatiest “young victim” role, vacillating between stoner comic relief, geek and then hero. I’ve watched this several times, and the audience reaction as the elevators arrive on the ground floor (you’ll know the scene if you’ve seen it), is one of the best “oh my god…are they really going to…?” moments ever put on film. It’s the moment when the audience reaches the top of the hill on a roller coaster, and views what they are about to drop in to. 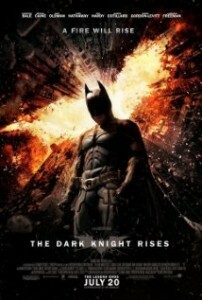 What a technically amazing film to watch. I saw an extended scene in 3D before Prometheus, and had no idea what it was. Out of context, the scene seemed silly and I had no idea what I was watching. 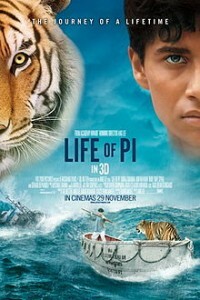 When I finally saw the film, I was really touched by the story. When I watched it in 3D at home, I was blown away. This really is a beautiful film that perfectly discusses religion and faith, without ever making anyone feel their own personal beliefs are wrong. 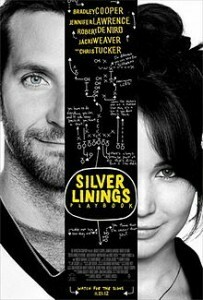 The film really gives us a choice of how we want to view the events that happen, and in turn, how we want to view life. The film is visually stunning, and is further proof that Ang Lee cannot be pigeon holed into any genre. The man can do it all, and earned his Oscar outright. This is what 3D was made for, not reprocessed garbage like Avatar. Another BIG surprise for me this year. In fact, three of my top 5 films on this list were films I was ready to dislike. I had not read the source material for Cloud Atlas. I’m a Tom Twyker fan, but have only really watched his films once, so I can’t say I know his work exceedingly well. The Wachoswki siblings are hit and miss with me. I have problems with the original Matrix (I won’t even get into the sequels), but I actually enjoyed Speed Racer for what it was. The initial reviews for Cloud Atlas left me thinking that the movie was going to be long, pretentious and a chore to sit through. I was elated that none of that was the case. The movie weaves together great and unexpected performances from faces you would normally recognize, but who are playing characters of different races, genders and even species. Hanks is clearly having the most fun in this, but the film’s best performance(s) belongs to Ben Wishaw (who shows up later on this list). The movie is very straight forward in its examination of interconnected lives, and there isn’t a lot of subtext. Really, it’s just a big, beautiful look at life, the universe and everything. I had ZERO expectation for this movie and boy was I floored by how much I enjoyed it. It’s definitely in the vain of John Hughes movies, and if you’re not a Hughesian, you may not appreciate it as much as I did. The film is packed with performances that consistently raise these characters from cliches into living, breathing beings. Watson’s Sam steers clear of the manic pixie dream girl by never letter her character get too over the top for purpose of driving the plot forward. Ezra Miller’s Patrick never feels like a stereotyped gay teenager and Johnny Simmon’s Brad does great work with a somewhat thankless role as the other half of Ezra’s doomed relationship. But what struck me the most was Logan Lerman’s Charlie. In FAR too many films, the lead is introverted, and strange and we’re asked to route for him because the script tells us to. The character is often SPOKEN of as being interesting, or an internal monologue begs us to like the person hiding beneath, but rarely is the typical “wallflower” character allowed to show any real development or interesting traits. 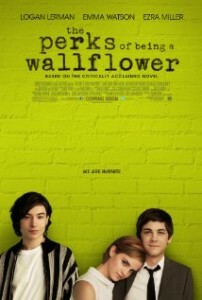 Charlie overcomes all of these obstacles, and his character is funny, engaging, and conflicted. Kudos to first time director (and author of the novel that his screenplay is based on) Stephen Chbosky for casting a great movie, and not shying away from some very difficult topics. Surprise number 3. 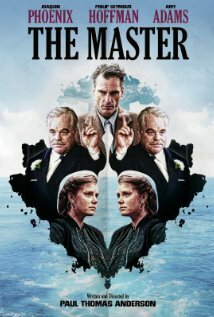 Paul Thomas Anderson is another director that I usually tend to love or loathe. LOVE Boogie Nights. LOVE the opening of Magnolia, and pieces of it, but feel the film is overly long and in need of some serious editing. Punch Drunk Love works as an experiment, but not a film. There Will Be Blood is magnificent, but not a movie I often revisit. This is another film where I let the reviews mislead me. Multiple reviewers complained that there was no plot, but that the performances were fantastic. They were half right. I think there is most definitely a plot, even more so than, say, There Will Be Blood. And the performances are incredible. In fact, my pick for Best Supporting Actor was Hoffman. Phillip Seymore Hoffman can sometimes fall into his comfort zone. Don’t get me wrong, it’s almost always a delight to watch, but in films like Charlie Wilson’s War, he’s delivering the usual PSH performance. But there are some films, like Flawless and Capote, where his voice and the way he carries himself is completely against type. This is one of those films. And he gets to do this opposite a creation of a character by Joaquin Phoenix that is unlike any character I’ve seen before. He’s like Randal McMurphy from Cuckoo’s Nest meets Lenny from Of Mice and Men. If Lincoln hadn’t come out this year, Phoenix was the best performance of the year. I’ve been a Bond fan for a long time (I remember hating that the bond marathons always came at the same time as Finals). What other franchise has had the luxury of reinventing itself based on the time period it’s in. The latest has certainly dialed back on the zaniness, and re-grounded our favorite spy. 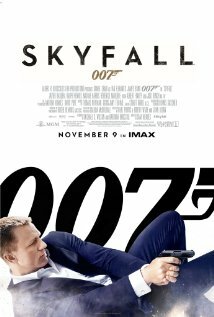 But with Skyfall, they’ve finally embraced just the right mix of zany and grounded to give us a Bond flick that is scary, funny and thrilling all at the same time. Adding that mix to a Bond who’s head we actually get inside is what makes the film so engaging. And Javier Bardem’s Silva is such a fun foil for Bond. He loves toying with Bond and getting into his head (and perhaps trying to get into his pants). But the real stars of this film are the direction and the cinematography. Mendes and Deakins elevate this film to levels never before seen in a Bond flick. Every shot is precise and used to drive the action on screen. The choices made in Silva’s introduction alone are why this film should be studied. How many action films would allow a scene to simmer and brew like that? The answer is none, and that’s why this film may be the most overlooked (artistically) of 2012. Benny is back. I admit, I’m a long time Ben Affleck apologist. I think even in the Bennifer days, he delivered great performances in Chasing Amy, Shakespeare in Love, and Goodwill Hunting. When Gone Baby Gone came out, I was blown away. Affleck did something Clint Eastwood couldn’t. He made a good movie based on a Dennis Lehane novel. Unlike the abysmal and overbearing direction (and direction of performances in-particular), Affleck was nuanced and controlled and delivered a solid film. The Town proved that it wasn’t a fluke. And then came Argo. One of the best, overtly studio films since A Few Good Men, Argo’s biggest strength is its ability to navigate between several storylines and several tones. Affleck never lets any of these overstay their welcome and he smartly casts a lot great character actors as the hostages so that we’re never sure who’s at risk. 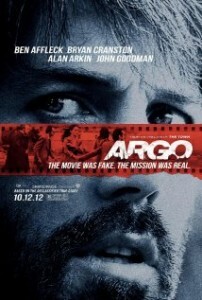 Affleck has proven he has a great rapport with actors, but with Argo, he also used his intellect to tell a story everyone remembers, but few really knew. I can’t speak highly enough about how well I feel this film works, and kudos for Ben, the comeback kid! 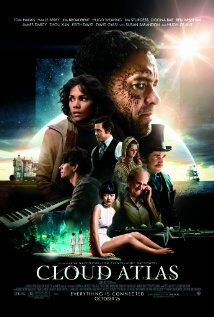 I still havent seen cloud atlas, must give it a shot.